Australia has very strict gun laws. Some would say they are more restrictive than most of the rest of the world. For example, toy guns that look like a real gun have the same penalties attached, and the same restrictions applied, as real guns. A Red Ryder BB gun is regulated the same as a .375 H&H magnum rifle. At least one state considers possession of computer code that can be used to print out a plastic replica of a gun, to be the same as possessing a real gun itself. No, I do not mean an actual 3D printed firearm. I mean the instructions to print out a solid plastic toy that looks like a real gun. After you have gone through all the bureaucratic hoops to obtain a firearm, then you have to wait another month to take possession of it. If you purchase another firearm later, you then have to wait another month to take possession of that gun. I looked at the possibility of taking a rifle or shotgun to Australia. The hunting in Australia is some of the best in the world. The bureaucratic obstacles were too burdensome. You need a letter from your local police chief saying that you are allowed to have a gun. The letter had to be sent to the Australian authorities weeks before your trip, and you have to identify the time you would be there. Then, the authority to have your firearm will only extend to the state where you enter Australia. Each different state would have to be dealt with separately, as you moved from state to state. As I intend to visit most Australian states, this became untenable. Prior to traveling, I carefully searched the inside of my luggage for stray ammunition or components . I found an empty 9mm case. It would probably not have been a problem. Having become accustomed to the relative ease with which firearms can be transported in most of the United States, the difficulty of traveling with firearms to Australia was vexing. I avoided it by not taking any firearms with me. Others avoid it by paying a professional hunting outfit to handle the local legal difficulties for them. 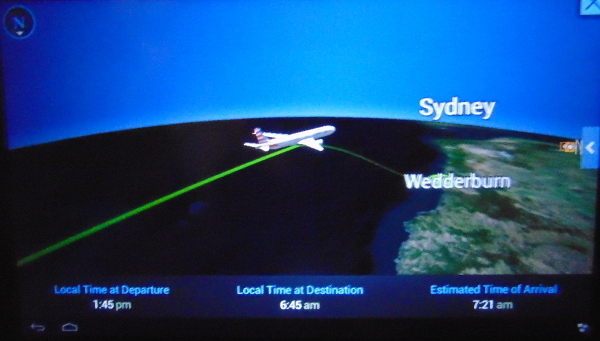 The arrival at Sydney, after a 14 hour flight from Los Angeles, was uneventful. As I went through customs, the officer asked me what business I would be conducting in Australia. I said that I was a writer. He asked what I wrote about. I said guns. I mentioned the upcoming amnesty. He said "You don't have any guns in your luggage, do you?" I said, no, I had written about Australian gun laws, and they are very strict. He waved me through. No one opened my luggage or checked my carry-on. Those had been checked when I got on the plane. I exchanged currency at the ANZ bank at the airport. It is located near the exit after you go through customs. I have been told they offer the best exchange rates in the country. The staff was pleasant and helpful. As I talked to the manager, I mentioned that I understood it was illegal to carry a pocket knife. She said that yes, she used to carry a small knife all the time, but she does not do so anymore. Such are the ways in which liberty dies, a little at a time. After I found my hotel, and checked in, I spent some time walking about the city. It is clean and busy. It seemed odd to be unarmed, and to realize that carrying even a pocket knife is a serious crime. Tomorrow I will be taking the train to rural Australia. There, a large dog jumped out of a car window, after spotting the smaller dog passing by with its owners, New Hampshire State Police said in a statement. After trying multiple times to free his dog, the owner shot at the attacking dog from close range and killed it, the statement said. Malik Hyatt, 19, told police he heard someone banging on the door of his apartment and trying to kick it in early Monday morning. Hyatt said he looked through the peephole and saw a man he did not know with something by his side. He told his 22-year-old sister to go to her room, grabbed a gun and shot through the door twice. Apparently unswayed, the individual “kept trying to force his way into the home,” Vander Leek told the paper. Dabrowski tried to fight off the bobcat with a sickle, but it was ultimately chased off by her dogs. Her adult son heard the commotion and rushed outside with a shotgun, which he used to kill the bobcat. The animal carcass tested positive for rabies. Deputies say he was one of several men who tried to break into a house on Grainland Drive and assaulted someone who lives there. That's when a neighbor heard what was happening and shot at the men, fatally hitting Vanlue, Jr. When officers arrived at the scene in the 2400 block of West Jefferson Street, they found a victim and a suspect with gunshot wounds. The victim, identified as 39-year-old Charles Cavanaugh, was transported to University Hospital with multiple gunshot wounds and was pronounced dead shortly after. The suspect, identified as 20-year-old Milik Lewis, was pronounced dead at the scene. According to a preliminary investigation, police believe the shooting stemmed from an attempted robbery. Police say 26-year-old Marlon Carpenter, 30-year-old Shalita Harris along with Lewis, all came to the Cavanaugh’s apartment armed with handguns and a rifle, in an attempt to rob him. Ammunition demand has continued to drop. Vista Outdoor provides a large proportion of the North American ammunition market with its CCI and Federal brands. Most of the production is at plants in Lewiston, Idaho and in Anoka, Minnesota. 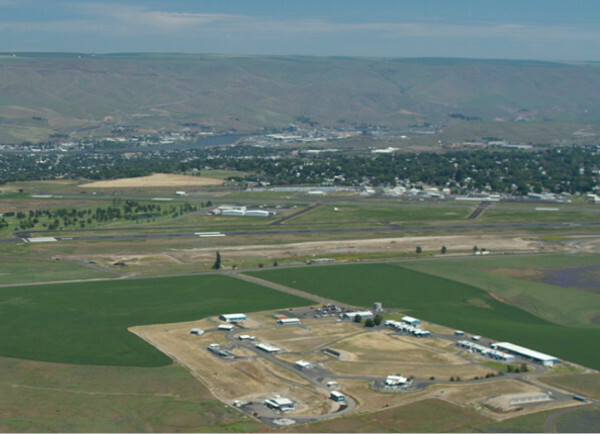 June 27--Eight more Lewiston Vista Outdoor positions have been cut, casualties of a decline in ammunition purchases following November's presidential election. The salaried employees were in operations support and customer service, said Amanda Covington, a spokeswoman for the company, in an email Monday. The company will be finishing a $70 million rimfire manufacturing plant in Lewiston, but has stopped a $29 million additional phase for now. Centerfire ammunition is now plentiful in stores, but rimfire ammunition is only beginning to catch up with demand. In Peruta v. California, the Ninth Circuit held that the right to carry concealed arms outside the home was not protected by the Second Amendment. The Ninth refused to consider that the ability to carry openly was prohibited by California law, thus nullifying the right to carry outside of the home. 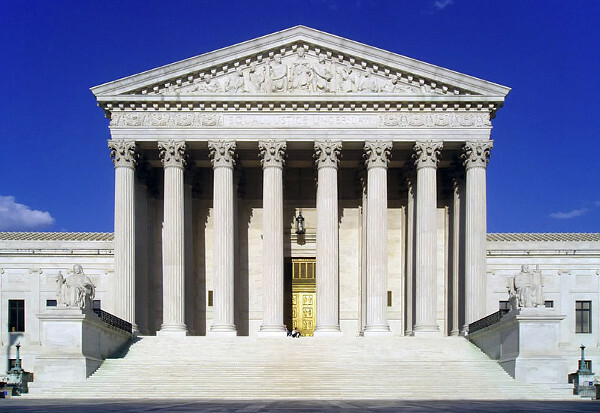 On Monday, 26 June, the Supreme Court officially denied the petition for a write of certiorari. The Ninth Circuit denial of Second Amendment rights outside the home will stand. The en banc court’s decision to limit its review to whether the Second Amendment protects the right to concealed carry—as opposed to the more general right to public carry—was untenable. Most fundamentally, it was not justified by the terms of the complaint, which called into question the State’s regulatory scheme as a whole. See First Amended Complaint ¶63 (“Because California does not permit the open carriage of loaded firearms, concealed carriage with a [concealed carry] permit is the only means by which an individual can bear arms in pub­lic places”); id., ¶74 (“States may not completely ban the carrying of handguns for self-defense”). And although the complaint specified the remedy that intruded least on the State’s overall regulatory regime—declaratory relief and an injunction against the sheriff ’s restrictive interpreta­tion of “good cause”—it also requested “[a]ny further relief as the Court deems just and proper.” Id., ¶152. Nor was the Ninth Circuit’s approach justified by the history of this litigation. The District Court emphasized that “the heart of the parties’ dispute” is whether the Second Amendment protects “the right to carry a loaded handgun in public, either openly or in a concealed man­ner.” Peruta v. County of San Diego, 758 F. Supp. 2d 1106, 1109 (SD Cal. 2010). As the Ninth Circuit panel pointed out, “[petitioners] argue that the San Diego County policy in light of the California licensing scheme as a whole violates the Second Amendment because it precludes a responsible, law-abiding citizen from carrying a weapon in public for the purpose of lawful self-defense in any man­ner.” 742 F. 3d, at 1171. The panel further observed that although petitioners “focu[s]” their challenge on the “li­censing scheme for concealed carry,” this is “for good reason: acquiring such a license is the only practical ave­nue by which [they] may come lawfully to carry a gun for self-defense in San Diego County.” Ibid. Even the en banc court acknowledged that petitioners “base their argument on the entirety of California’s statutory scheme” and “do not contend that there is a free-standing Second Amend­ment right to carry concealed firearms.” 824 F. 3d, at 927. The refusal to hear Peruta means that a Supreme Court case about the right to carry outside the home may not happen for a considerable period. It makes the passage of a national reciprocity bills that protect the exercise of Second Amendment rights across the nation, more urgent. There is ample precedent for the federal government's ability to require states to observe a federal standard for carry permits. It has already done so with the Law Enforcement Officers Safety Act (LEOSA). Courts in New York City and the District of Columbia Court of Appeals have upheld the law. It would be a small step from requiring States to recognize retired police officers carry permits, to requiring that States recognize the carry rights of people who have those rights in other states. No LEOSA Court cases have been appealed to the Supreme Court. Two Tennessee households were given $10,000 for helping authorities catch two inmates accused of killing guards while escaping from a prison bus in Georgia, according to Georgia authorities. The Georgia Bureau of Investigation split the $20,000 portion of the reward equally. A homeowner shot three suspects during an attempted home invasion in Theodore on Thursday afternoon, the Mobile County Sheriff's Office said. Detectives said a 62-year-old U.S. Marine Corps veteran shot the suspects as they were trying to get into his home on Thomas Road. According to authorities, the suspects have broken into the man's home before and threatened to harm the victim if he reported the incident to authorities. Remember when we had citywide units? A few hundred cops that the Department could call out for situations exactly like this? This event isn't a secret - it's been going on for years. Units like the old Task Force morphed into Gangs morphed into Special Operations, Targeted Response or Mobile Strike Force. Three-hundred cops who could have days off canceled at a moment's notice along with District Gang/Tact teams gave the Department a force of 500 or so to deal something like this - a "reunion" that is just an excuse for the old gang bangers to relive the misery they used to bring to a neighborhood that moved on. Now CPD has 25 cars show up? For a crowd numbering 1,000? A crowd that's been drinking and smoking all night without any interference from authorities? With (we're betting) a few hundred guns? And nothing has been done for years? In a city that has abandoned the rule of law? What exactly are the police supposed to do? Scroll down to "About that Gang Party"
Heading to Australia for the Firearms "Amnesty"
In a few days, I will be traveling to Australia. My trip will occur during the "Firearms Amnesty" there. I intend to write about the Amnesty, as well as the Australian gun culture. Blog posts may be a little spotty. It can be difficult to get decent Internet connectivity when you are flying over the Pacific. Internet availability in Australia depends on where you are. The more people around, the better Internet connections. There are lots of places in Australia without many people. This Australian "Amnesty" differs from American "buybacks". American "buybacks" are more properly termed gun turn in events. The American events, in general pay to have the guns turned in. If you are found in possession of an unregistered firearm, you could face significant penalties. 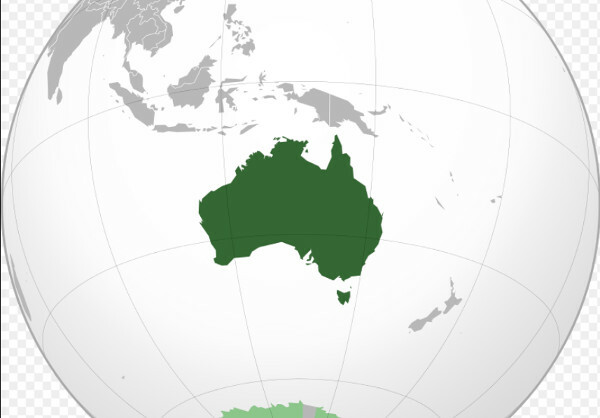 Depending on your state or territory, and the seriousness of the offence, penalties may include a fine of up to $280,000, or jail time of up to 14 years, or both. These penalties may apply even if it is your first firearm-related offence. If you are found in possession of unregistered firearms, you may also receive a criminal conviction. Criminal convictions can have serious consequences for you and your family, and may impact your ability to keep any registered firearms you have. In the U.S.A. there are similar penalties for possession of unregistered short barreled rifles or shotguns, silencers, or machine guns. In the U.S. the penalties for an individual are $10,000 and 10 years in jail. There is are serious efforts to reform the law in the United States. A few U.S. "buybacks" have sold the guns turned in, and used the money for charity or to fund future "buybacks". The Australian government has paid attention to the reforms in a number of American states, where guns must be sold (usually to a dealer) and the proceeds used for public benefit. The Amnesty incorporates some lessons learned. 1. Unregistered guns may be sold to a dealer instead of being destroyed. 2. Unregistered guns may be registered and become part of the legally registered stock. Under Australian law, a legal firearms owner may have to wait months for another firearm to be registered to them. 3. If the person bringing in the unregistered gun wants the gun to be destroyed, it will be destroyed. It is unclear if unregistered replicas, toy guns, or computer code that can be used to print out replicas, will be accepted at the gun Amnesty. Such items are treated the same as functional guns in some Australian states. The Amnesty differs a bit from state to state. I will be careful not to possess any toy guns while traveling from one Australian state to the next. Even simple camping tools may be suspect. "Crocodile Dundee" type knives are right out, unless your are actually in the bush at the time you are carrying them. You might be safe if they are locked in the trunk of your car, otherwise. Looking forward to reporting from Australia. Neighbor Reggie Nichols told KTVU that the shooter told him the men demanded he open a safe in his garage, which contained the gun. The neighbor says the homeowner often watched television in the garage with the door open. One of the robbers can be seen through a garage window before two flashes are captured on the video. The video then shows the homeowner apparently shooting his gun outside the garage on his driveway. The neighbor says one of the suspects was wearing a mask. The homeowner was briefly detained but was not arrested and has not been charged. Police say they are continuing to investigate. LAUREL COUNTY, Ky. (WKYT)- Sheriff's deputies say that a homeowner shot a man who was caught breaking in to a home. Laurel County Sheriff John Root says deputies were dispatched to a home off Robinson Creek Road Friday morning around 10 after a complaint that a homeowner caught a burglar inside. According to deputies, the homeowner then fired a shotgun at the intruder, shooting him in his upper torso. SPANAWAY, Wash. - A Spanaway convenience store owner has been sentenced to eight years in prison for shooting and killing a fleeing shoplifting suspect. Min Kim told the judge on Friday he accepted responsibility for what he did and apologized for his actions. As the cuffs went on Kim the tears and the anguish were unleashed from his family, trying to come to grips with the fact Kim is heading off to begin his prison sentence for shooting and killing Jakeel Mason last year. In March 2016, Mason was a shoplifting suspect at Kim's Pacific Quick Shop and was trying to flee from the store, when he was shot in the back. The delivery driver showed up to the home and was held at gunpoint, according to police. Neighbors told News4Jax that the driver threw the food at one of the teens and pulled his own gun, a Glock, from its holster. He fired four to five shots and hit at least one of the teens, according to police. "Is that money really worth it? The man says he had $200 at the most on him," said one neighbor, Kelsey who did not give her last name. "Y'all planned to kill somebody over $200? They don't think about innocent kids next door and the next family. When you have a weapon in your hand, anything can happen." The shooter lived at the home in the 200 block of Birch Street and he was detained, then released, O’Grodnick said. Police chiefs will consider the possibility of offering a gun to every frontline police officer in England and Wales, to counter the threat of a marauding terrorist attack, the Guardian has learned. A discussion paper on the subject has been drawn up for the next meeting of the National Police Chiefs’ Council (NPCC), which wants to look at how to boost armed police numbers to deal with a crisis, following the atrocities in Manchester and London. The paper is intended to start a debate on the issue among police leaders at the two-day meeting that starts on 12 July – although it is thought at this stage unlikely that any wider arming will be agreed upon. Routine arming is controversial within policing and many do not support it. The chart in the Guardian gives us some numbers from the UK government. These are numbers that I have not seen elsewhere. They tell us how many authorized firearms officers there are in England and Wales. Government sources were relied on for the total number of frontline officers. The total number of frontline officers has dropped by 11 percent from the high in 2010. The peak number of operational frontline officers was 125,799 on 31 March, 2010. The number of authorized firearms officers is not as precise. It was measured from the chart. Armed officers were about 6865, or 5.5% of frontline officers. There were 113,134 operational frontline police officers as of March 31, 2015. There were a little over 5600 authorized officers as of March 31, 2015. The number is essentially the same in 2016. About 5 percent of frontline officers in England and Wales are armed. The number of frontline officers has dropped by 11 percent from the peak in 2010. 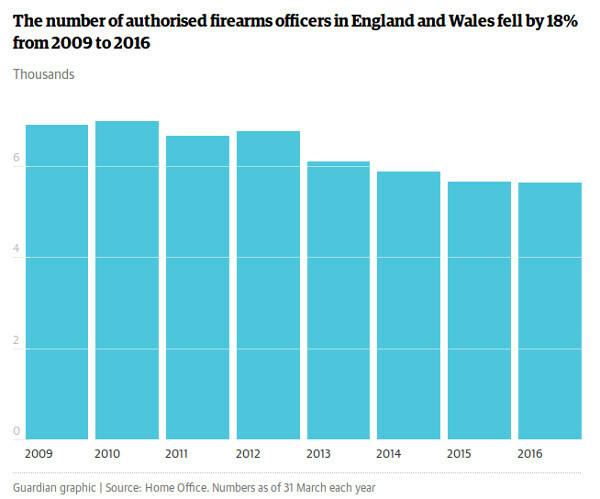 The number of authorized firearms officers has dropped about 21 percent from the peak. Officers have to be available for coverage 24 hours a day, seven days a week. Given work hours, sick leave, and vacations. I would expect no more than about 1/5 of the officers to be on duty at any one time. At any given time, in England and Wales, there are about 1,100 authorized firearms officers on duty. The United States has about 20% more officers per capita than England and Wales. But virtually all of them are armed. Authorities were called to the scene at the intersection of Highway 448 and Highway 10. There, they discovered a person shot a man in the leg after he attempted to rob them. During what Salt Lake City police are calling rare "take-over style" robbery at a Quiznos restaurant Tuesday night, a female employee shot and wounded a female robbery suspect, prompting her two male accomplices to flee. The female suspect, whose name was not immediately released, was in serious condition Wednesday at a hospital, said SLCPD Detective Greg Wilking, who said the suspect was hit in the neck. "They thought it was a toy gun. The kids thought it was a toy gun and was passing it around. My daughter says as soon as she handed it to him, he pulled the trigger and shot himself," Johnson said. "They thought the gun was a toy gun but in reality the gun was a real gun and it was loaded," said Police Chief Fred Posavetz. "The little boy actually had shot himself in the side." The three-year-old, identified as Cameron Dillard, picked up the gun, which discharged, causing a fatal wound. 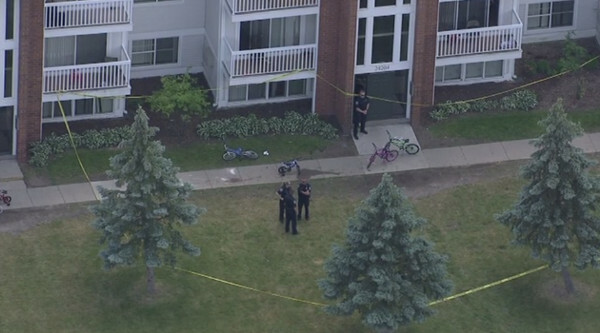 Clinton Township police said the boy shot himself in the chest. Without knowing what the make and model of the gun, it is difficult to determine how the 3-year-old shot themselves in the chest. It can be done; three year olds can be quite strong. Data I have collected show that accidental shooters over-whelmingly are adults with long histories of arrests for violent crimes, alcoholism, suspended or revoked drivers licenses, and involvement in car crashes. Meanwhile, the annual number of accidental gun deaths involving children under ten — most of these being cases where someone older shoots the child — is consistently a single digit number. It is a kind of media archetype story, to report on "naturally curious" children shooting themselves or other children — though from 1995 to 1999 the entire United States saw only between five and nine cases a year where a child under ten either accidentally shot themselves or another child. The owner of the gun that a 3-year-old Clinton Township boy fatally shot himself with has been identified as a 29 year old on parole for a weapons charge. A Mount Clemens man was taken into custody Tuesday evening after the FBI Macomb County Violent Crimes Task Force tracked him down on the west side of Detroit. The man had allegedly dropped the gun from his pocket. This shooting was a tragedy, but restrictions on gun ownership or use would not have prevented this accident. The gun was owned illegally. The owner is said to have unintentionally dropped it out of his pocket. No storage laws would have changed the outcome. When innocent children are hurt or killed, the instinct is to do something. Prosecutors say 29-year-old Lamonte Odell Johnson was showing off a handgun and ignored a warning that a child picked it up on Tuesday at the Newport Arms Apartments. Cameron Dillard, 3, picked up the gun, shot himself in the stomach and died. Johnson is now charged with Second Degree Murder and a Felon in Possession of a Firearm and facing up to life in prison. Syracuse, NY -- A Syracuse man who shot and killed a romantic rival during a fight in Armory Square was found not guilty of murder this afternoon by an Onondaga County jury. According to investigators, 45-year-old Frank Harrison showed up at his ex-girlfriend's house armed with a rifle. Deputies said Harrison had previously threatened his ex-girlfriend. She opened her door and shot Harrison, killing him. Investigators have not charged the ex-girlfriend, as they believe the shooting is a case of self-defense. TX: Elderly Homeowner Shoots 21-yr-old Intruder. The homeowner, whose name was not released, told police Robert Facundo, 21, threatened him about 1:45 a.m. in the 900 block of Glen Oaks Boulevard, near South Polk Street and West Laureland Road. The reason that famed axiom of “there are lies, damned lies and statistics” rings true is because of how often statistics are employed as a means of convincing others to believe assertions that simply aren’t true. A favorite leftist tactic is to trot out statistics linked to children. If they can tie any political issue to its impact upon kids, the most innocent among us, then they can claim the high ground and demand that conservatives acquiesce to their political demands or be labeled as uncaring and anti-children. On Monday, CNN released a story with the following provocative headline: “Guns kill almost 1,300 US children annually, study finds.” The Washington Post took it to the next level with the editorial headline, “Children are dying because of America’s lax gun policies.” Both articles open by relaying emotional stories about young children being accidentally shot. The Post’s editorial is nothing but a hit piece against guns and the National Rifle Association, offering almost no actual data. CNN at least offers some of the study’s statics but uses them in what can best be described as a crafty game of semantics dodge ball. First, CNN and the Washington Post intentionally broaden the application of the term “children.” As previously mentioned, the articles open with tales of gun accidents involving young children, and the clear implication is that the number of children killed by guns mentioned in the headlines must be young. The trouble is that both articles’ opening anecdotes are outliers that don’t accurately reflect the study. Of those 1,300 children killed by guns, less than 4% were by accident or under the age of 13. According to the study, the number of teenagers killed, ages 13 to 17, was 12 times higher than those 12 and under. Second, the stories falsely perpetuate the notion that the majority of children killed was due to accidents related to the presence of guns and lax gun laws. Of the 1,300 children and teenagers killed by firearms, however, 53% were classified as homicides (largely a gang problem), 38% were suicides and 3% were due to the action of law enforcement intervention. In other words, very few children, either young or teenage, are killed by gun accidents. The vast majority of gun deaths of young children and teenagers are due to intentional criminal acts. Ignoring these facts, the Post suggests that more laws are needed to prevent children from gaining access to guns in the home. Michigan is on the verge of repealing its antique ban on automatic knives. Michigan was the first state to ban switchblades. It was an early test of the power of the post-war media to push emotional, irrational, legislation. The law, which had an exemption for one-armed people, was passed in 1952. The impetus for the ban is believed to have come from a November, 1950 article by Jack Harrison Pollack. The Toy That Kills was published in the Woman's Home Companion. Call it propaganda, yellow journalism, muckraking; it had little to do with fact, and everything to do with pushing legislation through emotion. Here is one of the passages. “Designed for violence, deadly as a revolver — that’s the switchblade, the ‘toy’ youngsters all over the country are taking up as a fad. Press the button on this new version of the pocketknife and the blade darts out like a snake’s tongue. Action against this killer should be taken now. It’s only a short step from carrying a switchblade to gang warfare. For 65 years property was confiscated, lives were disrupted and people were fined and jailed, for the "crime" of carrying a pocketknife. Many believe the law was selectively enforced against minorities. An analysis of knife arrests for a similar law in New York, found that 86% of the arrests were of black and Hispanic suspects. After Michigan passed the ban on switchblades, or "automatic" knives, other states followed. New York was the next in 1954. In 1957, the federal government banned the interstate shipment and the importation of switchblades. In the 1950's legislators and judges still believed that interstate commerce had to actually involve an item actually crossing state lines. The switchblade ban became a template for future bans on guns. In 1968, the 1968 Gun Control Act forbade people from one state from buying guns in another state. This turned the prior premise of the Interstate Commerce Clause, which had been designed to prevent the states from interfering with interstate commerce, on its head. Now the federal government used to clause to prevent interstate commerce. 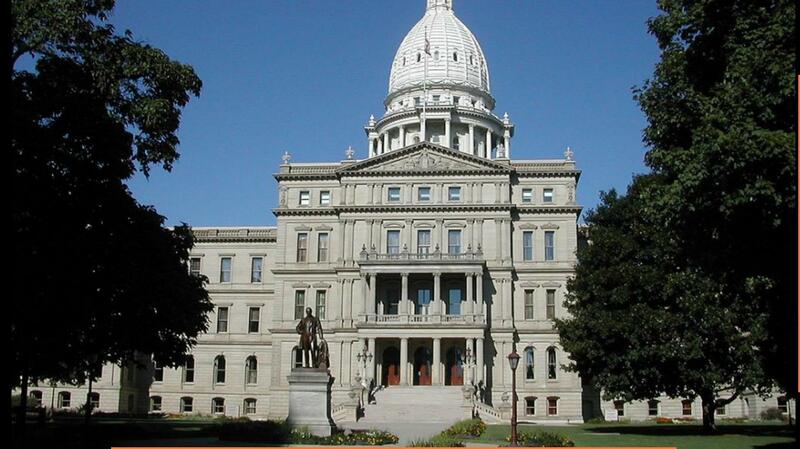 Lansing – Michigan’s Republican-controlled House on Tuesday unexpectedly voted to legalize switchblade knives for Michigan residents. The legislation is now on its way to Gov. Rick Snyder and would scrap a longstanding ban on knives that use springs to open after the Senate OK’d the plan in April saying that the danger of such knives was overblown. House lawmakers voted for the legislation 106-1, with Rep. Rose Mary Robinson, D-Detroit, the sole dissenter. There was no debate. The Senate voted to repeal the law 36-1. The bill, SB-245, will be sent to Governor Rick Snyder. It seems likely that he will sign it. If he vetoes it, there is a good possibility of a veto override. The governor has 14 days from the time he receives the bill to sign it or veto it. There is plenty of time left in the legislative session for a veto override if legislators decide to do so. If the bill becomes law, it will go into effect after 90 days. The incident occurred at 1:46 a.m. Monday on county Road 8, near Houcktown. A resident discovered the two juveniles inside the building and confronted them with a weapon. During the incident, one of the juveniles was shot. Investigators say he began breaking windows to make his way into the home. They said once he was inside, he began to assault his ex-girlfriend. Someone else inside the home then grabbed a gun and shot the ex-boyfriend twice. He suffered gun shot wounds to his shoulder and abdomen and was taken to San Antonio Military Medical Center. The homeowner found the suspect in the hallway and shot at him several times, according to the report. The suspect ran out of the house and got into his truck. The homeowner continued to shoot at the suspect, causing Wang to cause damage to the garage door. Officers spotted the suspect on Flint Gap Road. While officers tried to stop the suspect, he sped away. A chase went onto Thorngrove Pike, John Sevier Highway and then to the suspect’s address on Strawberry Plains Pike. Authorities say they will not be pursuing criminal charges against a Springfield man who shot a possible intruder. Lisa Cox, spokeswoman for the Springfield Police Department, said detectives do not suspect Chad Faught committed any criminal activity when he shot a man at his home near Fremont Avenue and Bennett Street on Dec. 16. Cox said police submitted a case to prosecutors asking that the man who was shot, Logan Crain, be charged with burglary. Prosecutors are reviewing that case. On 14 April, 2017, Governor Terry Branson signed HF 517, a comprehensive law to reform Iowa's antique weapons restrictions. Part of the law was to require uniform firearm laws across the state. Local restrictions on the carry of weapons were eliminated. On 19 June, 2017, the Chief Justice of the Iowa Supreme Court banned all weapons in county courthouses. The ban did not include peace officers on duty. The Chief Justice of the Iowa Supreme Court issued an order today banning guns from all courthouses. Chief Justice Mark Cady says in his order that after reviewing the policies on guns across the state he found 44 of the 99 counties prohibit weapons in courthouses, 11 prohibit them in all county building sand sixteen prohibit weapons on in areas controlled by the judicial branch. Accordingly, under our constitutional authority and responsibility to supervise and administer Iowa’s district courts, the supreme court now orders that all weapons are prohibited from courtrooms, court-controlled spaces, and public areas of courthouses and other justice centers occupied by the court system. This order does not affect the authority of county or city officials to determine appropriate employment policies for their employees in county and city offices located in courthouses and other justice centers. This order also does not affect the authority of peace officers to carry weapons in courthouses and justice centers while performing law enforcement duties. The chief judge of each judicial district is authorized to work with county and city officials as well as courthouse and public building security committees to develop additional policies and procedures necessary to implement this supervisory order. This order applies to the Judicial Branch Building. Dated this 19th day of June, 2017. It is legal for the Chief Justice of Iowa to do this, because the Iowa courts are a separate and co-equal branch of the Iowa government, not a lower level of government such as county, town, and city governments. A similar situation occurred in Arizona in the 1990's. Early in the 1990's I could and did carry weapons into the county court house without any problems. I seldom carried into a court room, because I had no reason to go there. A notorious double murder was committed in the County, and the Chief Justice banned citizens from carrying weapons in the court house. The Chief Justice was well known for his anti-Second Amendment proclivities. Metal detectors and armed guards were installed, at considerable expense. After the trial, they were kept in place. 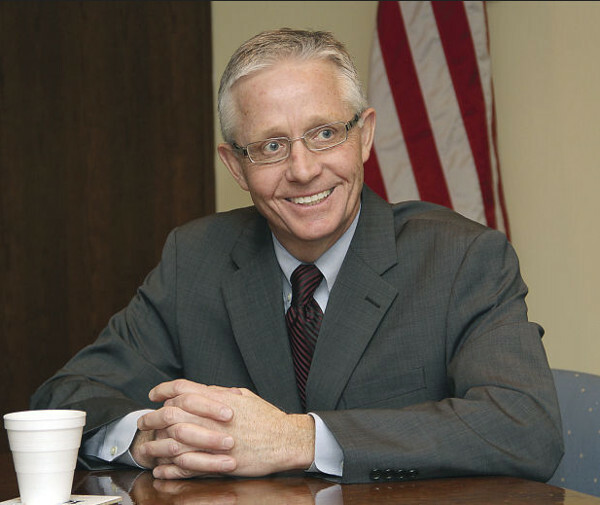 The Chief Justice of the State Supreme Court issued a very similar order to that of the Iowa Chief Justice, except that he left the issue up to the county chief justices. The separation of powers is an integral part of the checks and balances that keep the state and federal governments from becoming tyrannical. The difficulties that banning people from exercising Second Amendment rights in Courthouses versus court rooms can be mitigated. Arizona requires public buildings that ban the carry of guns have facilities to "check" carried guns. Such a system could be implemented in Iowa, if the legislature so desires. Palmer then pulled a knife out of his pocket and asked the homeowner, "Are you going to shoot me now?" according to Lohrke. At that point, witnesses have given conflicting stories about whether Palmer threw his knife at the homeowner or dropped it. But it prompted the homeowner to fire twice, hitting Palmer in the jaw and chest, the lieutenant said. A lesson can be learned from the heroic actions of the Capitol Police in the baseball park assassination attempt. Fillus said a police agent pulled out a gun and tried to shoot back. She was screaming, “ ‘Drop your weapon!’ And he shot her and she fell on the ground. Police have been trained to command a suspect to "drop the weapon". In combat, you drop to the level of your training. In this case it did not work well. The officer shouting the commands drew fire, and was shot. Fortunately, it was not a fatal wound. It appears to have taken her out of the fight, at least for a time. A little more bad luck on the remaining officer, and things could have been much, much worse. 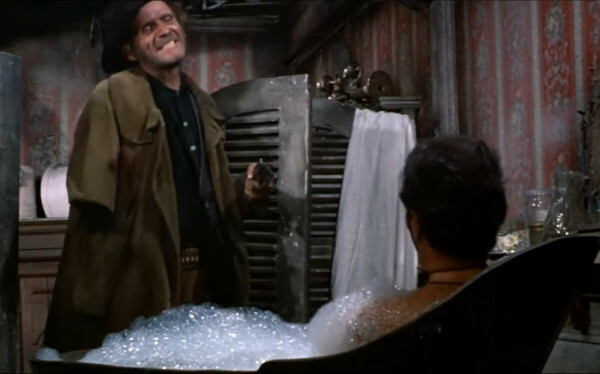 The Tuco bathtub scene from The Good, the Bad and the Ugly is a great aid to make this point while teaching armed defense. It is a cultural icon that most people remember. When it is time to shoot, shoot. Talking interferes with shooting. It is hard to do both at the same time. A man was shot and killed by his father after a Saturday afternoon argument in which the father said his son attacked him with a knife, Phoenix police said. Fearing for his and his wife’s safety, the resident fired four shots in the direction of Saldana in an attempt to scare him off, the sergeant said. Lavaunti Broadbent was shot and killed during a crime spree in Minneapolis in July of 2015. He is one of the statistics from that year. He was 16 years old. He was attempting an armed robbery when a person with a carry permit shot and killed him. About 1,300 US children under the age of 17 die from gun-related injuries per year, a government study has found. Researchers at the US Centers for Disease Control and Prevention (CDC) also found that guns seriously wounded about 5,800 children each year. Boys accounted for 82% of all child firearm deaths while black children were 10 times more likely to be killed by a gun, according to the study. More than half of these deaths were homicides while 38% were ruled suicide. The study, published in Pediatrics on Monday, also found 6% of firearm-related deaths were fatalities from accidental gun injuries. Just a few paragraphs down, a quote from Katherine Fowler, the leader of the study, contradicts the BBC's opening sentence. "Firearm injuries are a leading cause of death among US children aged one to 17 years and contribute substantially each year to premature death, illness and disability of children," said CDC's Katherine Fowler, who led the study. Fowler's study includes 17-year-olds. This is probably a case of confirmation bias by the BBC, and clever wording from Fowler. It "sounds" younger to say "1 to 17 years" than to say "under the age of 18". The study was done for 3 years, 2012, 2013, 2014. Using the CDCs WISQARS database, I compiled the numbers for 2012, 2013, and 2014. The average for those three years were 1,268, close to what is stated. The average number of 17-year-olds was 384. That is 30% of the total. Remove the 17-year-olds, as the BBC did through (most likely) confirmation bias, and the real number would be under 900. It just doesn't sound as scary as 1,300, does it? In 2015, the numbers jumped up, most likely due to the Ferguson effect. There were 1,490 total in 2015. Of those, 17-year-olds were 456, or 31%. The Ferguson effect started in August of 2014, but took some time to build. The term was popularized in May of 2015 by Heather Mac Donald in a Wall Street Journal article. It was in full swing in 2015. The Ferguson effect refers to the spike in homicides occurring in black city centers when the police pull back for fear of being charged with racism and crimes they did not commit. 80 percent of the children who die of gun-related injuries are 13 years old or older. Black kids account for most of the homicides, non-black kids account for most of the suicides. The runner had apparently made it to the halfway point turnaround and was on his way down when he used his phone to text a family member at 12:37 p.m. that he was being chased by a bear, Precosky said. The family member approached Precosky, who was then in the middle of handing out awards. "I went off and talked to him about it, trying to get a straight story," Precosky said. "He was very shaken and had received this communication." A search was launched immediately, Precosky said. The family member had GPS coordinates from the missing runner's phone that helped guide searchers to the area where his phone was. But the searchers, including runners that were part of the race, couldn't get closer. This has all the hallmarks of predatory black bear attack. The attack was well telegraphed, because the runner had time to phone and text people about it. After the runner was killed, the bear stayed near the body and would not allow rescuers near it. The bear was finally driven off when a park ranger shot it in the face with a shotgun slug, wounding it. 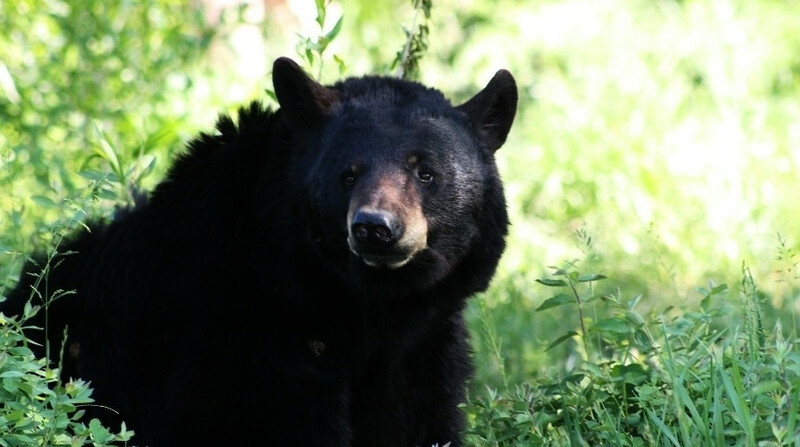 Black bears usually break off an attack when serious resistance is encountered. Black bears in predatory mode do not want to risk a serious wound. For a wild animal, a serious wound is often fatal. The runner was able and willing to carry a cell phone. They could easily have carried a Ruger LCP, which weighs about as much. "This young man didn't do anything wrong. He was just in the wrong place," Crockett said. "You can't predict which bear is going to be predatory." Exactly so. Which is why prudent people carry arms. A hiker killed a charging brown bear on the trail in 2013, with an AK74. SITKA, Alaska (AP) – An Alaska homeowner fatally shot a brown bear on Wednesday after it attacked his dog. The Daily Sitka Sentinel reports (http://bit.ly/2ruQbkh ) that Alaska Department of Fish and Game biologist Steve Bethune called the incident bad timing. Bethune says the man let his dog outside in the morning and the bear happened to be on his property. A Jacksonville woman shot and killed her abusive ex-boyfriend after he broke into her apartment on Wednesday. Jacksonville Sheriff's Office said the woman shot and killed 33-year-old Michael Turner after he broke a window and got inside her apartment just before 6 a.m. According to Geller, the fatal shooting, which is being investigated by the agency, comes after the alleged robber, who was wearing a mask, “displayed a handgun and demanded money from the cash register. As the armed robber fled the store, shots were fired,” Geller said. A man pulled a gun after being assaulted at St. Francis Hospital around 12:15 p.m. on Wednesday, according to preliminary information from Memphis Police Department. Could be a little more clear. An ex-husband attacks his ex-wife, pistol whipping her. The neighbor couple come to her aid, and shot the ex-husband, killing him. Agents said 42-year-old William Taylor went to his ex-wife's home in the 2000 block of Centreville Tuesday night. The TBI said William Taylor brought a weapon and started striking her with it while their children were home. After their children left the house, a couple living next door came over to help. 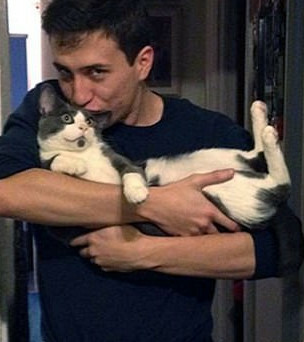 William then attacked the neighbors while they were trying to help his ex-wife. He encountered the potential intruder and told Channel 11 he caught the man red-handed behind his neighbor’s property Thursday night. "He was hiding behind a bush and jumped out so I put him at gunpoint and it looked like he was going to go down, I told him don't move, I will shoot." Yesterday, on June 17, I posted an article that said Sheriff Howard Sills reneged on the reward for the capture of escaped convicts. "It looks like we going to get saved that money. Because the apprehension was the result of officers seeing them after a crime. So I don't think that, ..
Again I appreciate everyone who put that money up. We are very grateful." What is not shown is the context of the Sheriff's statement. An alert TTAG reader, Jeff Young, shared a link to the original video at 13WMAZ. 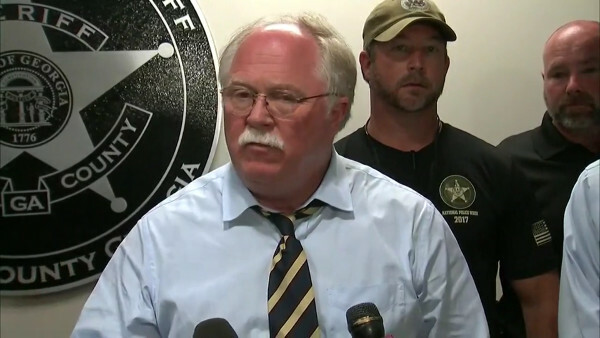 In the video, it is clear that Sheriff Howard Sills is announcing the capture of the two escapees. It is clear that he believes that law enforcement captured them. In that context his remarks make sense. I retract that article. It was based on "fake news". I owe Sheriff Sills an apology. He did not make himself look like a stupid, dishonest, weasel. Whoever edited the video did that. It is another instance of "fake news". How much of our image of law enforcement officers is shaped by "fake news"? More than it should be. I struck up a conversation with a health care professional. The subject turned to active shooters and the vulnerability of Yuma Regional Medical Center (YMRC). 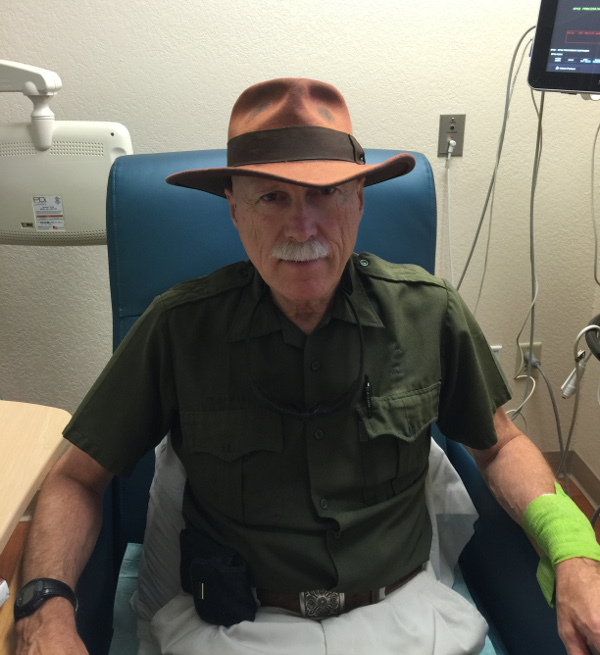 We were in the Yuma Regional Medical Center outpatient clinic. I was getting prepped for my daily dose of high powered intravenous antibiotic. The health care professional did a good job, and I complemented her. She said she had a lot of practice. I agreed that performance on nearly everything improves with practice, but some people are just naturals at some tasks. I gave the example of a young man I took dove hunting. With very little practice, he was hitting as well as I was after 50 years of wing shooting. He is a natural. "If there was an active shooter here, we would be sitting ducks. Maybe we could run and hide, but we have patients that cannot." "If I had my pistol, they would not get by me." We talked a little more about her pistol, magazine capacity, weight, and triggers. The conversation was unsolicited. I do not wish to get this dedicated professional into trouble. Retaliation is not unknown in such situations, even for such innocuous things as casual conversation about corporate policy. Maybe more so for a non-profit. My observation is that many health care professionals are competent with firearms. It follows from their enhanced desire to help people. They do not want the patients in their care to be undefended. If you are wondering what the high-powered antibiotics are all about, it is pneumonia. It is likely the reason my writing production has been down for 10 months. One bit of good news: My doctor says the pneumonia was masked by my overall excellent aerobic capacity. She said if I weren't so healthy, I would have been in the hospital months ago. It should be cleared up before I head off to Australia. I will be writing about Australian gun culture while I am there. Video only. A store manager fired on a teen robbery subject. Video shows teen with what appears to be a handgun. Teen is shown limping off. The homeowner grabbed a handgun and went outside to see what was going on. SUN-TIMES MEDIA WIRE - A man shot and killed the person who wounded him during an attempted robbery Monday night in the South Side Gresham neighborhood, according to police. A 39-year-old man was in the 8300 block of South Elizabeth at 8:15 p.m. when he was approached by Dana Matthews, 18, according to Chicago Police and the Cook County medical examiner’s office. Matthews shot the older man in the abdomen, but the older man returned fire, striking the alleged robber twice in the legs and twice in the neck, police said. 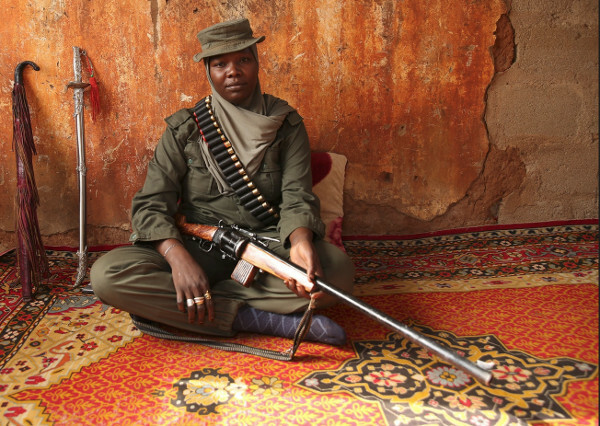 In this widely circulated image of Aisha Gombi Bakari, you can see the homemade revolving shotgun that she uses to hunt Baka Haram Islamic terrorists. The lock up does not look impressive, but it will do for a small number of shots. The cylinder is probably turned by hand. There are index cuts to make sure it is lined up with the barrel. Aisha is supposed to be paid about $25 a month, but the payments are spotty. An official has recently been indicted on embezzeling 1.8 billion dollars marked for anti-terrorism efforts. That might explain why the local villagers cry out for better weapons, and why their $25 a month payments are erratic. It appears she has factory ammunition. 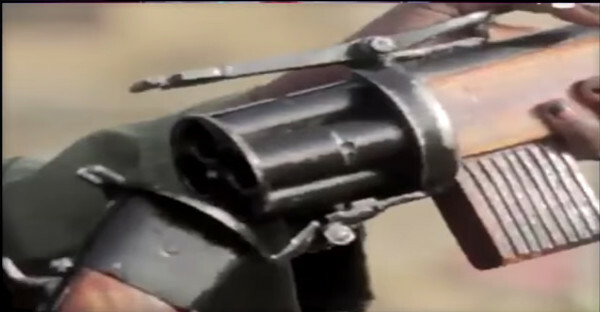 Even very poor people with limited tools can make repeating shotguns. But they would be far better served with AK47s, GPS, radios, and real support from their government. Did the NYT Supply Information Vital to the Assassination Attempt on House Republicans? A poster on freerepublic.com had this to say about the information. I’ll bet he left his home and wife back in IL right after he read that article. The timeline fits. The problem for an assassin is finding a low-security high-probability venue to attack. Parking a white van in DC and living in it while waiting to shoot somebody in a motorcade was near zero odds. A baseball practice field in suburban Alexandria with a YMCA for showers and Wi-Fi was PERFECT. This would explain why Hodgkinson had to ask whether the people practicing at the ball field were Democrats or Republicans. The NYTs Article does not say. It only says "members of Congress". The military considers control of this sort of information to be part of operational security. You do not give it out, because it could be critical information that your adversary could use against you. The NYT had/has no legal obligation to keep this information from the public eye. In the Civil War/War between the States, both sides obtained critical information from newspapers. Both sides made good use of that information to gain success on the battlefield. The particularly nasty relationship in this case is that the New York Times has been using extreme rhetoric to describe Republicans for months. Some would say for years. 2. "Trump has used a toxic mix of bullying and bluster, xenophobia and nationalism, misogyny and racism, to appeal to the darker nature of the Republican Party and secure his place as the unlikeliest presidential nominee in recent American history." — Blow, May 9. 3. "[Speaker of the House Paul Ryan's endorsement of Trump] puts political positions first and character and morality second. Sure Trump's a scoundrel, but he might agree with our tax proposal. Sure, he is a racist, but he might like our position on the defense budget." — Conservative columnist David Brooks, June 10. 4. "Yeah, frankly, I would say that." — Liberal columnist Nicholas Kristof when asked by CNN's Don Lemon whether he thought Trump was "racist," June 8. The NYT has attempted to blame Republicans and gun laws for the attack on Republican Congressmen playing baseball. They should be looking a bit closer to home, and consider their own contribution. I have been tracking .22 rimfire ammunition and availability for some time. The .22 Long Rifle bubble has lasted for years. With the election of President Trump, I expected the bubble to bust. Instead, it has been deflating, like a balloon with a pinhole leak. The demand for .22 ammunition has been so great that a 20% increase in supply, and a Second Amendment friendly administration did not bust the bubble. Instead, they stopped the growth, poked a hole in the bubble, and started a downward spiral of prices. 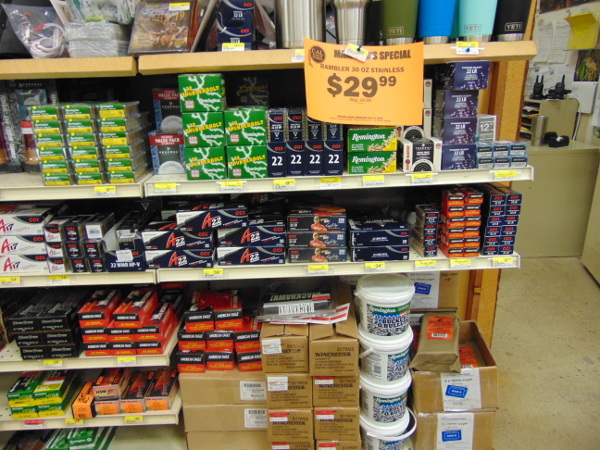 At CAL Ranch Stores, I expected there to be some .22 ammunition at high prices. The prices were above historical averages, but they had dropped considerably. There was plenty of ammunition available in several brands. The man behind the counter and I had a discussion about the situation. He showed an excellent practical understanding of basic economics. Supply of .22 was no longer a problem, he said. The store did not have any limits on purchase. Walmart has dropped their 3 box limit nationally, as well. Federal Champion 710 bulk ammunition in the popular 525 pack was on the shelf. He said the store had no problem obtaining it and keeping it on the shelf. The price was $25.95. That is less than 4.8 cents per round. I have found it to be excellent ammunition. Right next to it were bricks of Remington Thunderbolt. As I watched the price changed from $32.95 to $29.95, a 10% drop in front of my eyes. CCI High velocity .22 with copper washed bullets was a little under 7.5 cents a round, in 50 round boxes. The large brown boxes on the bottom shelf are 8 cases of Winchester 17WinMag and at least 3 cases of CCI 22WinMag. I expect those prices to drop. The CCI 22WinMag cases have been there for months. The CCI 22WinMag ammo is priced at 30 cents a round. You can buy .223 brass cased centerfire online, with free shipping, for only a penny more per round. A local gun store, Sprague's, is only a couple blocks from Cal Ranch Supply in Yuma. They had plenty of .22 in stock, with no limits. The prices had not fallen as much as at Cal Ranch Supply, yet. The lowest priced .22 Long Rifle was 6 cents per round. Neither store had Aguila .22 LR on the shelves. Aguila purchased new manufacturing equipment using the Eley priming method. They doubled their manufacturing capacity during the bubble. There are plenty of stores that carry Aguila ammo. They have lowered their prices to grab market share. On line, it has dropped to 4 cents a round for standard velocity. It is gaining attention. Very few stores have limits on purchase of .22 ammunition any longer. In November of 2016, I predicted that .22 Long Rifle bulk ammunition prices would drop to 4 cents a round by October of this year. I stand by that prediction. What has been happening with .22 ammunition in your area? Reports around the country vary considerably. Some say prices have dropped to 5 cents and you can purchase as much as you want. Other areas are reporting shortages and 10 cent per round prices. We would like to hear what your experience has been. The homeowner told deputies that Evans-Sayre had broken into his home and smashed their window with a brick. In the process of the break-in, the homeowner fell while carrying a pistol and shot himself in the leg. He then fired off two shots in the direction of the suspect, according to deputies. CYPRESS, TX — A man who tried to rob another man at gunpoint in a northwest Houston suburb was shot Sunday evening. The suspect, Stephen Blackwood, then ran away and tried to break into a home about a block away, where he was shot in the shoulder by a resident, authorities said. Early reports are the rifle used at the Republican congressional baseball practice was an SKS. The Chinese versions of the SKS generally do not have as nice of a stock as the Russian SKS, above. There are also a number of East block SKS rifles on the market. CNN is incorrect when they say that the SKS is an AK variant. It is a copy of the Russian SKS, not the Russian AK or the Chinese AK. Several sources are saying the Hodgkinson had an Firearms Owner Identification Card (FOID). That seems to be correct. Others are saying that he had a concealed carry permit. That may be, but has not been verified as of yet. Traces are still being done on the two firearms recovered at the scene -- an SKS rifle 7.62 (which is a Chinese-made AK variant) and a 9 mm pistol, a law enforcement source tells CNN. The suspect had purchased an SKS rifle and a 9mm pistol in Illinois, legally. "Subject did have in his possession a valid Illinois FOID card. Subject was advised to not discharge his weapon in the area," the report states. "Subject in the pine trees shooting and there are homes in the area. Caller heard 50 ... shots." I listened to the tape of the gun fight. It is difficult to be precise. I thought I could differentiate between rifle and pistol shots. I counted about 20, maybe 22 rifle shots, and about 42-44 pistol shots. The shooter had a rifle and a 9mm pistol. We know the rifle was fired. I suspect the pistol was fired as well. 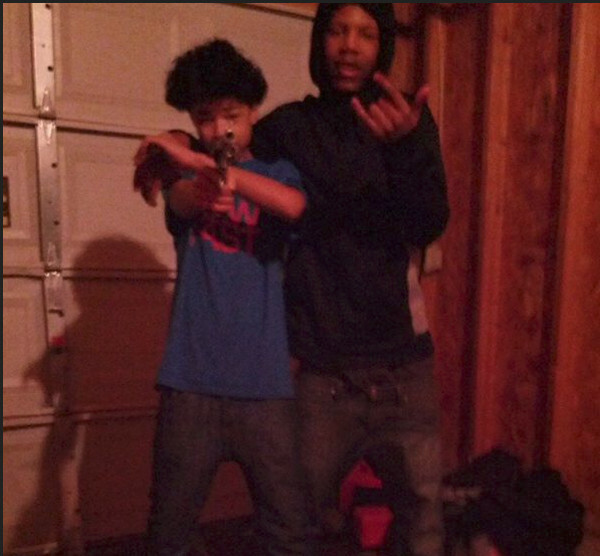 We know both Capitol police officers fired their pistols. 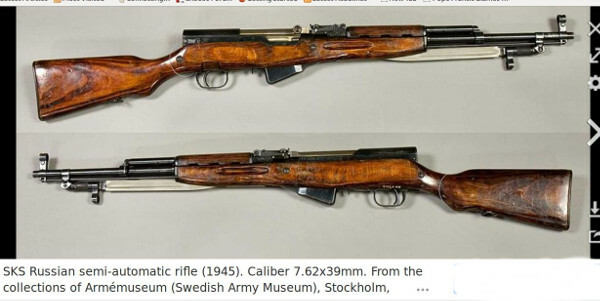 If the rifle was fired about 20 times, it seems likely that it was a classical SKS with a 10 round magazine, rather than the rarer models with a 20 round magazine or a detachable magazine. There was plenty of time on the audio recording for the shooter to reload with a stripper clip after shooting 10 rounds. We should find out shortly. Here is the audio recording from a phone that I listened to. DOWNEY, Calif. (KABC) -- The owner of a car audio store in Downey shot three armed would-be robbers, two of them fatally, in a gunfire exchange on Monday evening, authorities said. 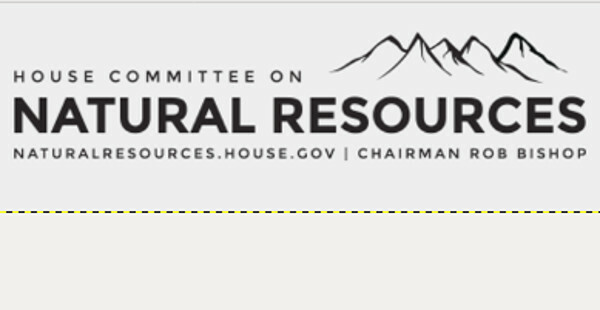 A comprehensive version of the SHARE act is to be discussed in the House Committee on Natural Resources on Wednesday, June 14. It includes the Hearing Protection Act and numerous other firearm law reforms. Versions of the Sportsman's Heritage and Recreational Enhancement Act has been about to be passed for years. It was introduced in 2012. It has received majority support from both parties. Similar legislation came very close to passage in 2016, passing in the Senate and the House, before being derailed in the conference committee. It is the brainchild of the National Shooting Sports Foundation (NSSF). It is an omnibus hunting and gun law reform bill that should have passed years ago. It has not passed because of one reason. The Barack Obama administration did not support it. The pressure for reforms has been building. There is a Second Amendment supporting administration in power. The comprehensive reforms have been strengthened. In consultation with the BATFE, the Hearing Protection Act was added to the bill. Makes clear the EPA has no authority to regulate lead ammunition or fishing tackle. Allows Pittman-Robertson funds (taxes on sporting guns and ammunition) to be used for the development of public shooting ranges on public lands. Forbids the Corps of Engineers from prohibiting the carry of firearms on Corps of Engineers managed land. State law would apply. Similar to the carry in Parks reform signed by President Obama. Opens up many federal lands now closed to hunting and fishing, including many recently closed monuments. Clarifies the federal definition of "baiting" migratory birds, to prevent prosecution of innocent farmers and ranchers. Insures that bows and crossbows can be transported across federal land where they are banned, to areas where they may be legally used. Requires cooperation with state fish and wildlife agencies in managing fishing in coastal and Great Lakes waters. Requires creation of an online database showing the awards of all court settlements, and the basis of those awards, to improve transparency, and prevent favoritism of activist groups. Prevents prosecution of individuals and organizations involved in "good Samaritan" search and recovery missions on federal land. Allows for lawsuits and recovery of fees against any other person, including individual officials and state and local governments that deprive a person of their legal right to transport firearms and ammunition from one place where they may legally possess them to another place where they may legally possess them. Requires withdrawal of a restrictive rule on hunting and trapping in Alaska, returning the authority to the State of Alaska. Allows importation of polar bear trophies legally taken in Canada. Removes wolf management from judicial review in Wyoming and the western Great Lakes, returning it to state wildlife agencies. A federal judge has stopped management of wolves in both areas. In the U.K., the mere idea that licensed gun owners could be considered a resource to defend against terrorist attack, is off the table. The following statement is in response to an interview given today, Monday 12 June, to BBC Radio Cornwall by Police and Crime Commissioner, Alison Hernandez, where it was discussed whether or not registered firearms licence holders could be of assistance to police during a terrorist attack. “Under no circumstances would we want members of the public to arm themselves with firearms, not least because officers responding would not know who the offenders were, and quite obviously they would not have the time to ask. “Our message to the public is a simple one: to run, to hide and to tell. The Deputy Chief Constable never allows any possibility of self-defense. If self-defense with guns is seen as legitimate, the entire scheme of victim disarmament in the UK falls apart. Consider. A gun store owner in the U.K. is not allowed to defend themselves with a gun, at least not in any planned way. According to U.K. law, a gun may not be kept in a ready condition in order to protect against attack. It might seem that a Jihadi attack in the U.K. countryside would be implausible. How about an attack on a undefended gun store? The rigorous citizen disarmament scheme in the U.K. was never about crime. It was always about fear of a revolution. The dogma of a disarmed citizenry has become holy writ to the British governing elite. It must never be questioned. Anti-rights activists in the U.S. should be asked if gun shop owners should be able to defend their shop with a gun. "Under no Circumstances" is the answer if the U.S. follows the path of British gun control. AR15 Style Rifle Used in Defense; Did California Restrictions Handicap Defender? Yang said the family was preparing to celebrate her brother-in-law's birthday when in the early morning two armed suspects walked through their front door. 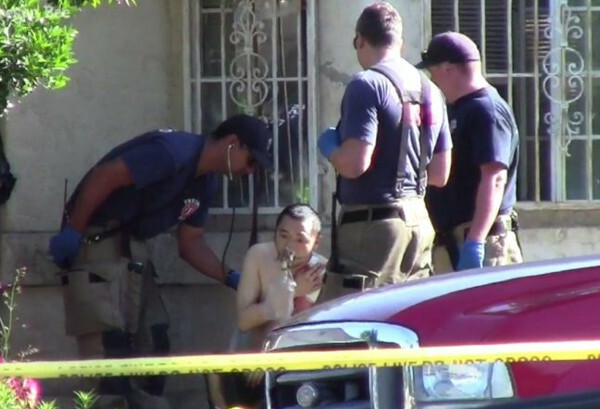 The father, 69-year-old Chong Yee Yang, hollered to warn his children-- one of his son's ran out with an AR-15 and that's when a gun fight began. "On face value, it appears that these individuals are violent street gang members," said Lt. Dave Madrigal, Fresno Police. Elijah Mays, 27, and Xavier Williams, 23, are from Stockton and both have extensive criminal histories. Their records include murder, robbery, and home invasion charges. 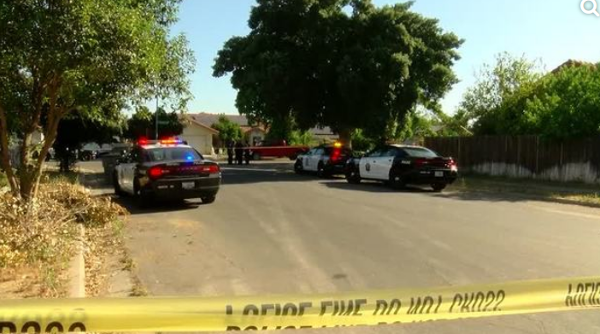 The Sacramento Police Department said they sent out an alert via NextDoor in March, warning South Sacramento residents of increases in armed robberies targeting Asians. Most of these were happening in Avondale, Fruitridge Manor, Southeast Village, and Glen Elder. Police said several robberies happened while the victims were at home getting out of their car. As a result of the shooting, Mays, Williams, and 69-year old Chong Yang died. Yang was the father of the 30-year old man. That man survived with only a wound to the shoulder, and Dyer said he remains in stable condition. Dyer said Mays and Williams were gang members. Criminal records from San Joaquin County show the two had been arrested previously for robbery, grand theft, and even murder. But why they came to the house armed is still being investigated. It is not known if California's severe restrictions on magazine capacity hampered the defensive shooter in this situation. It is not known how many crimes were prevented, and how many lives saved, by the defenders actions. Both men shot were career criminals. They were fairly young 23, and 27. The had the potential for hundreds, possibly thousands of crimes in their future. A facebook post by the presumed mother of the home invaders is circulating. I cannot verify if it is legitimate. It has been taken down, but screen shots were taken while it was up. This site shows the post in its comments section, comment by Tee Ele. AR-15 type clones are excellent choices for home defense. They are powerful and easy to handle. With the right ammunition they do not over-penetrate. Normally, they have excellent magazine capacity to deal with multiple attackers. Anti-rights activists claim that semi-auto rifles are not useful in defense of home and self. This is another datum disproving that claim.